Why, hello there! How was your weekend? Kind of whizzed by, like mine?! Don't worry, this is going to be a great week for us all, I can feel it in ma' bones! I'm back home in London today enjoying a little snuggle time with my one year old niece (she's adorable - I might just have to pack her into my case and take her back with me!). I did manage to tear myself away for just enough time to create today's post though. I thought, being a hectic Monday and all, I should opt for a home tour with an element of calm, what do you reckon? 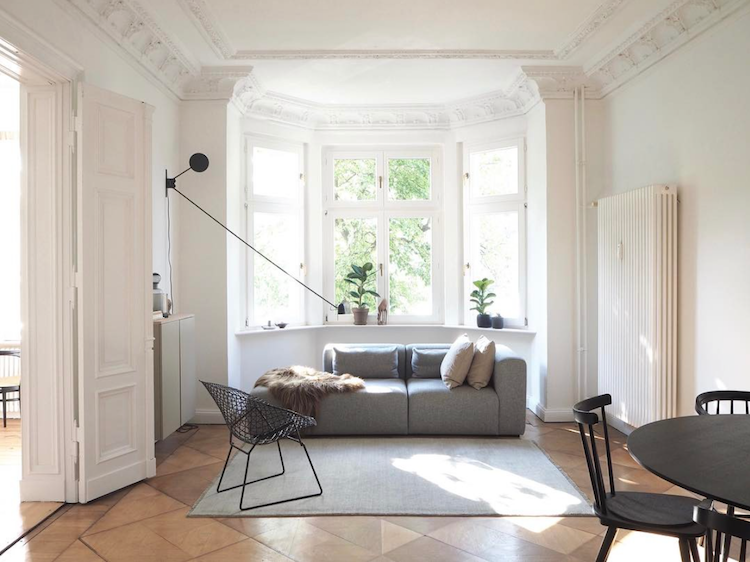 This beautiful home belongs to interior stylist Selina Lauck, her boyfriend Olli, a cutler (AKA knife maker - yes, I had to look that up!) and four year old dog Gordin (look closely and you might just spot him!) in Berlin Mitte. Selina studied fashion design before realising that this wasn't her passion, and after a year in Oslo, returned to Berlin to work for Danish brand Hay. 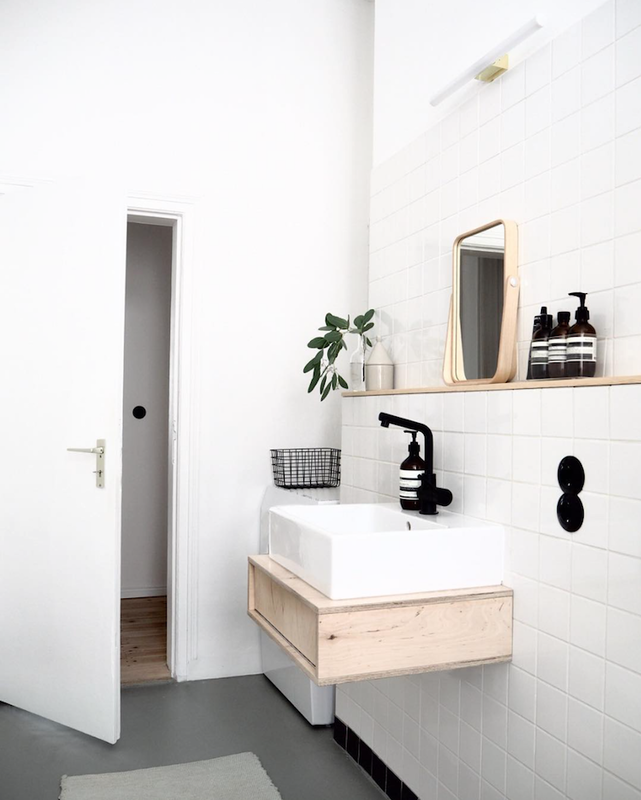 Her love for Nordic design shines through every corner of her home, which she describes as 'minimalist with a Scandinavian influence'. Enjoy! Wow! What an incredible home - don't you think?! Selina's minimalist style and subtle colour scheme allows the magnificent structure and period features of the space to shine through - so perfect! 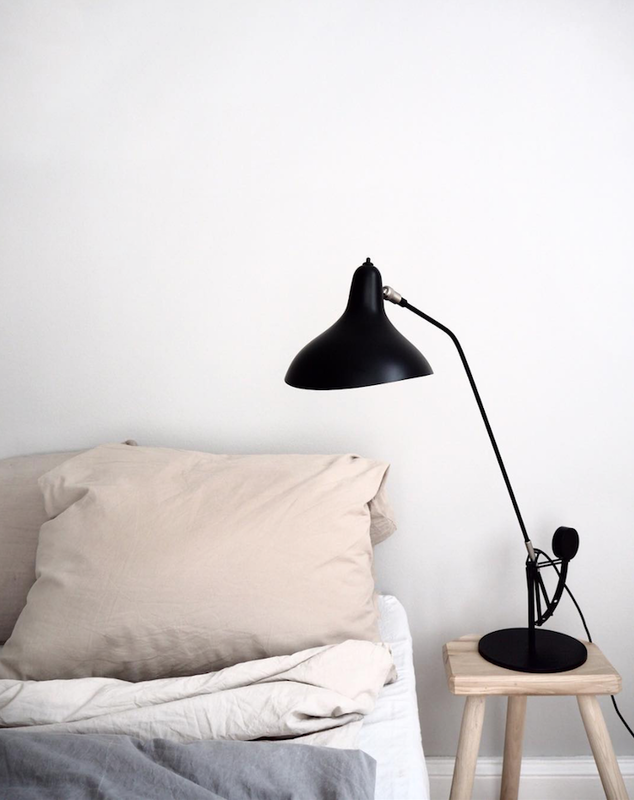 Bedroom: Mantis table lamp (I've got the same in my office! 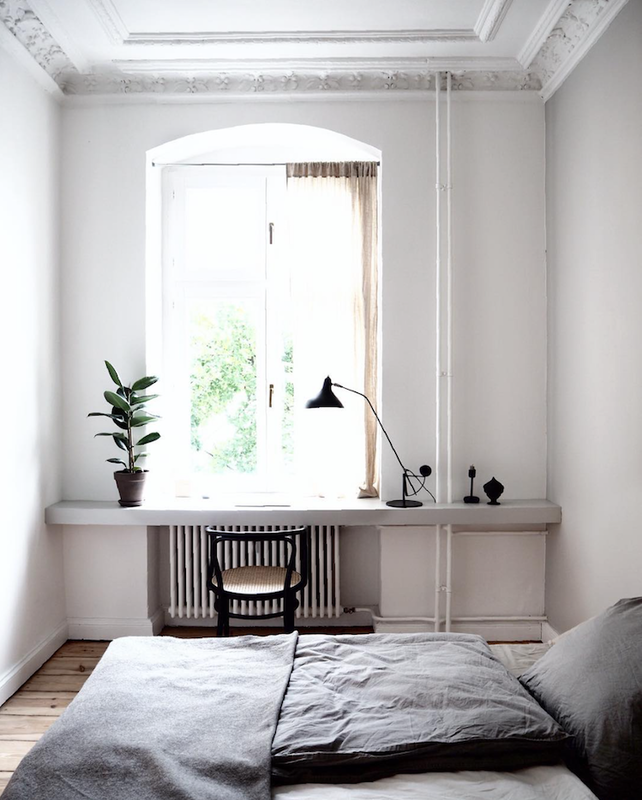 ), House of Baltic sells similar linen bedding. 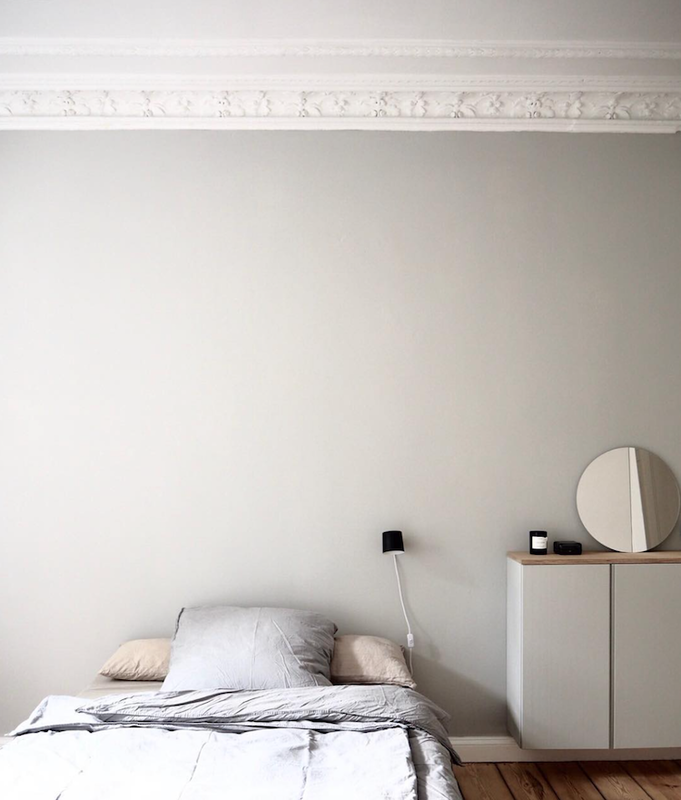 Wall colour by Farrow & Ball. 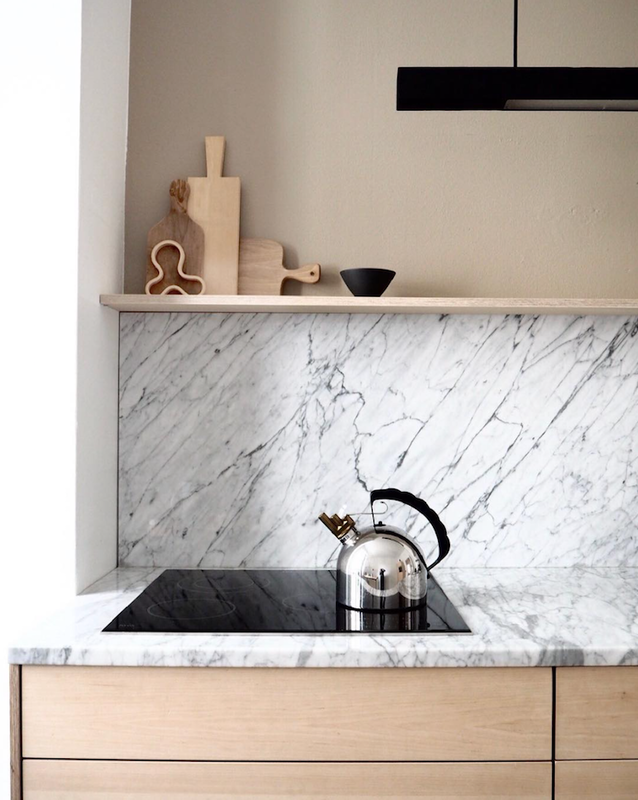 Kitchen: lamp from Kai Linke, Alessi kettle (love this!) 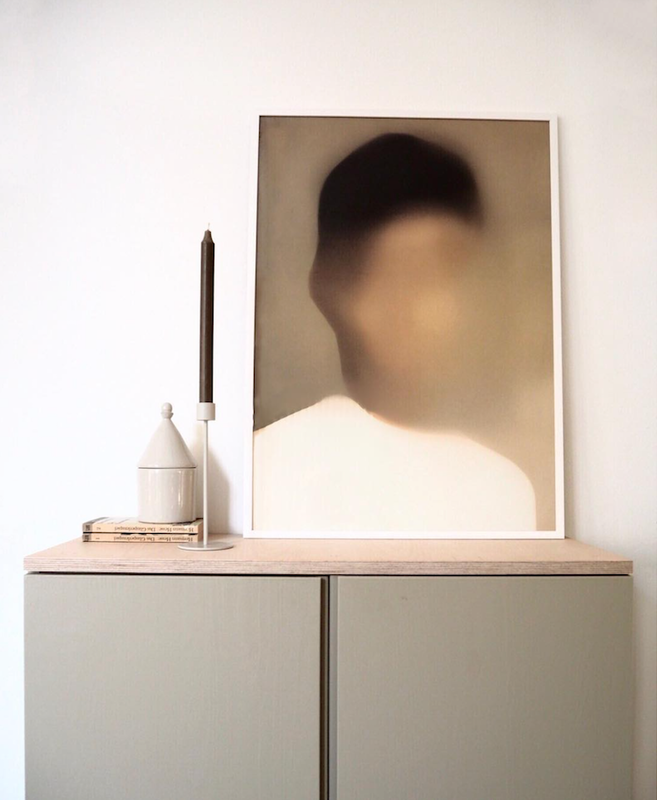 faceless portrait from faroe island artist Gurilla Artstudio, wall colour by Farrow & Ball. 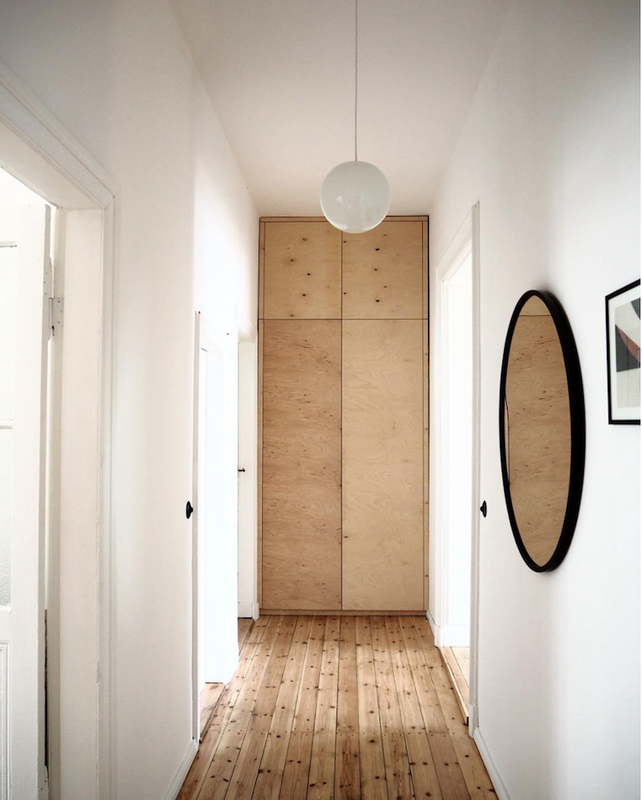 Hallway: this round mirror is similar, print from The Poster Club. 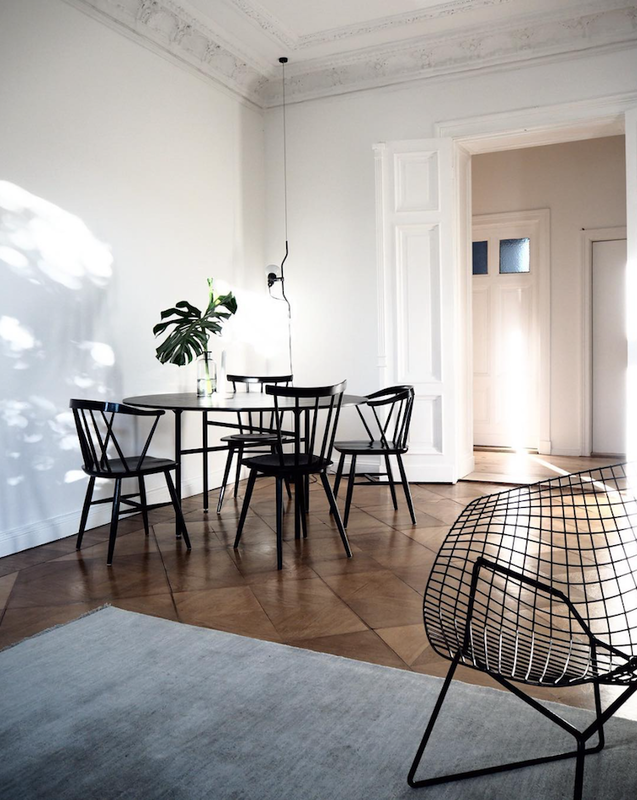 Sitting room: Knoll diamond chair, Begonia Maculata print by Coco Lapine, Menu dining chairs. Hay sofa. If you don't already follow Selina on Instagram, it's an absolute must (she's so good at tagging too - something I need to be better at!!). A little birdie tells me she's also launching an interior blog any time soon - stay tuned! 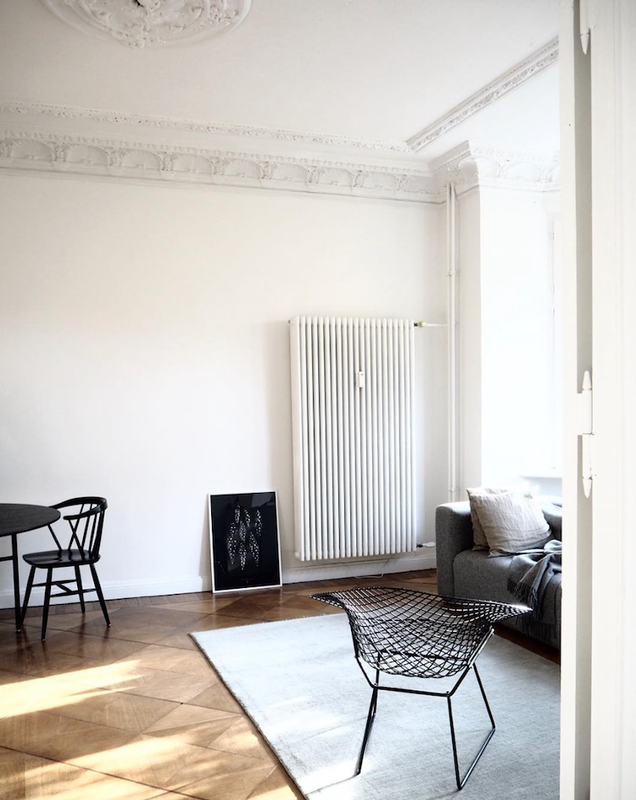 Oh and, the word on the street is that the wonderful Jules from Herz Und Blut paid Selina a visit recently and snapped a beautiful home tour (check it out here!). 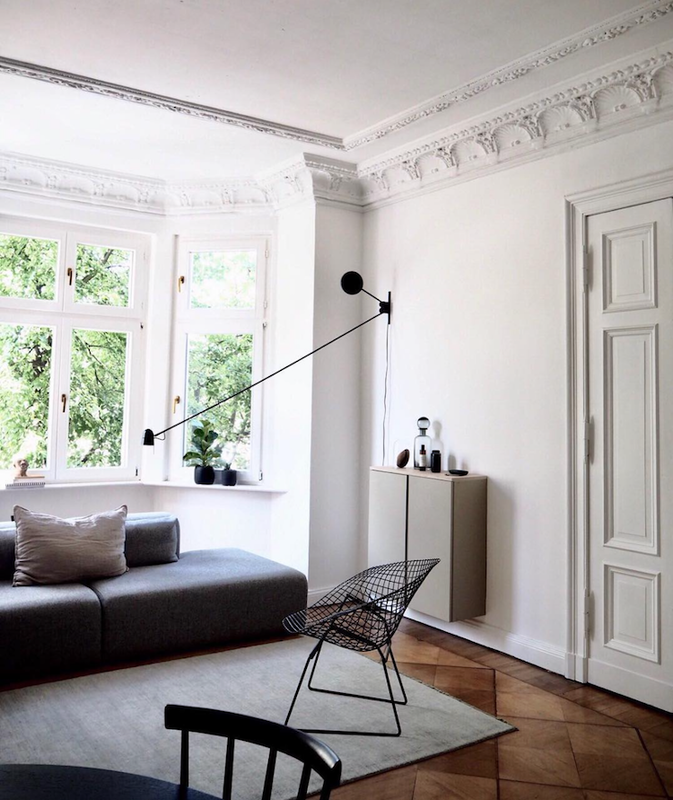 More beautiful Berlin homes here too! Have a fab start to the week! PS Tonight I'm heading to Regent Street to celebrate the launch of the new limited edition Nespresso Variations Confetto collection in collaboration with artists Craig and Karl (candy inspired coffee blends - fika galore! Yay! More on Instagram stories later! 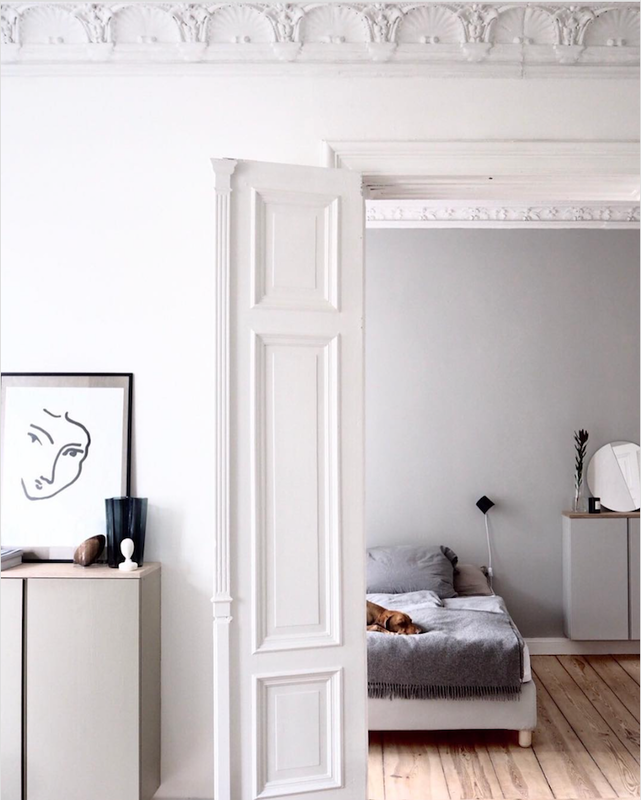 PPS The voting for the Domino Design Blog Awards finishes tomorrow - I'd be soooo grateful if you can take a mo to stop in and cast a vote one last time here (My Scandinavian Home can be found in the category 'Best International Design Blogs'). Thank you so much! I've been following Selina on Instagram for a while now and I just love her home! It's so nice to see more of it. And the dog... Beautiful!